Guide to walking in the compact but action-packed mountain ranges just north of the seaside town of Nerja on the Costa del Sol, less than an hour's drive from Malaga airport. 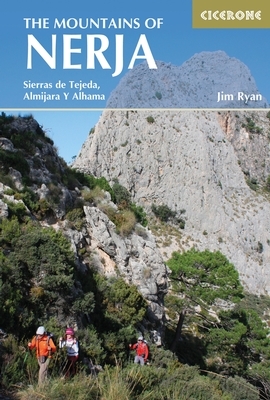 The ranges that make up the Sierras Tejeda, Almijara and Alhama National Park contain 50 summits of Munros status, as well as lots of wilderness areas and peaceful valleys. Many of the routes described in this guide are now waymarked as the superb year-round walking in this area of southern Andalucia becomes better appreciated and more popular. All the routes described can be tackled as day trips from the coastal towns and they range from gentle strolls to serious challenges up to high summits, like the formidable La Maroma and Cisne. The 24 graded day walks are described step by step and illustrated with extracts from the official IGN mapping with lots of extra information about the natural environment and local history.